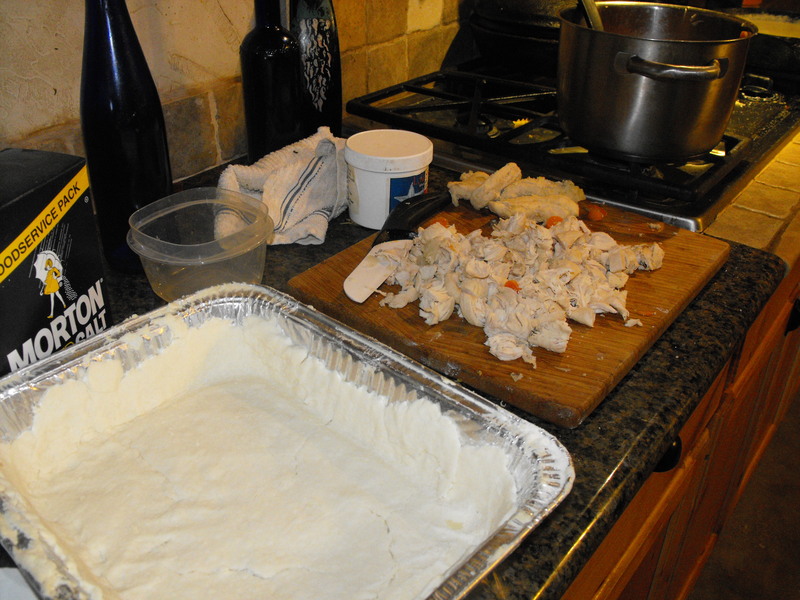 Preheat oven 350 Divide pie crust in two and roll out both halves placing one half in greased 9×10 pan and reserve other portion for top.Cook chicken in oil in large skillet with onion and garlic, season as needed. Remove chicken and cut in chunks. Melt butter and add flour, in same saucepan,with onion and garlic, stirring constantly until consistency of peanut butter. Slowly addcream, continue stir. Add chicken base and water, stir until thickened. Add beans carrots cook a little to soften vegetables. Add chicken. Remove from heat. Pour into shell, and cover with ‘top’ prick with fork. Place in oven and bake for 20 Min at 350,until top browned. Previous Post Bible Study Anyone?